When many people think about museums they think about history, but here in Kentuckiana we take it to a whole other level. The variety of museums in the area celebrate more than just the history of Kentucky and Indiana, and also boast a sense of pride and appreciation for our diverse culture, arts, talents, and accomplishments. Many of the museums in Louisville and the surrounding area are truly original museums that you won’t find anywhere else in the world. 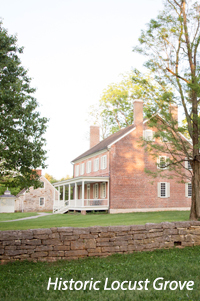 Enjoy the permanent and rotating collections in the various art and history museums, such as the Frazier History Museum, or visit a site significant to our nation’s history, like Abraham Lincoln’s Birthplace, or immerse yourself in the history and craft of one of Kentucky’s famous bourbon distilleries. A world-class museum where visitors can journey through centuries of British, American, and world history. Get educated and inspired about the craft of art making.Through galleries, exhibitions, and collaborations visitors discover contemporary art and explore the process of creative expression. Find three different glass studios under one roof at Glassworks, and discover the fine art of glassblowing with tours, demonstrations, art galleries and other activities. Hospitality is combined with a modern art experience with this unique destination. The museum features works by living artists and mesmerizing installations that keep visitors coming back for more. 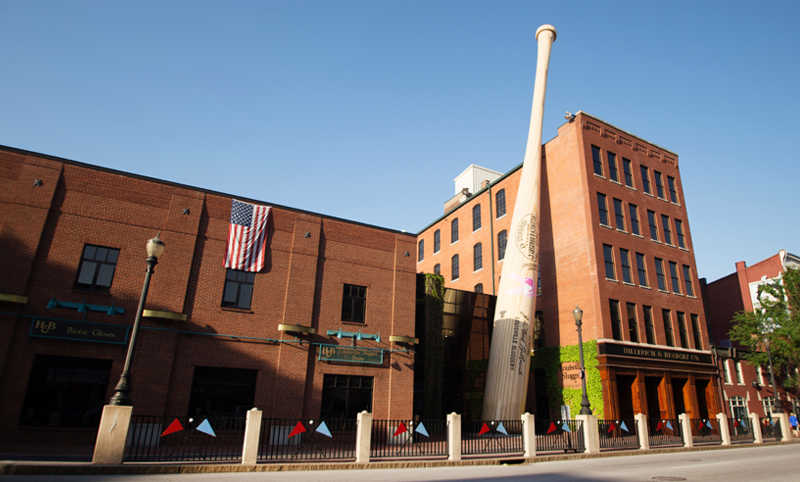 It's all about baseball at the Louisville Slugger Museum. Enjoy fun interactive exhibits, discover amazing baseball memorabilia, and experience the our award-winning bat factory tour. Take a journey through the extraordinary life of Muhammad Ali and the ideals and principles that fueled his success. People from all walks of life will leave the museum inspired to be as great as they can be. Visitors of all ages immerse themselves in the world of science as they explore 3 floors of interactive exhibits offering hands-on science fun for the whole family! One of the best venues in the area for music, theater and dance serves as a place for entertainment as well as education. Showing at the Science Center's 4-story digital movie theater, this multi-media presentation captures the history and spirit of Kentucky. Taste the rich history of bourbon on "Whiskey Row" at the Evan Williams Bourbon Experience, featuring an artisanal distillery, guided tours, and educational Bourbon tastings. 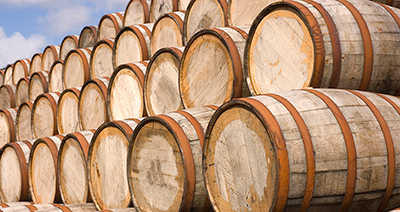 Watch and learn the process for making Bourbon. An in-depth look into thoroughbred horse racing and the Kentucky Derby. Showcases the history the Chevrolet Corvette. Showcases the lifestyle and craftmanship of the early 1900s. Learn the history and heritage of Kentucky's railroads. Local history of Louisville's Portland neighborhood. Presents the educational history of blind people and the historic contributions of the APH. Kentucky's largest and oldest art museum. Discover the old Howard home and items from the steamboat era. Displays thousands of pieces of American candy memorabilia. Exhibits tell of the struggle between the forces of the Union and Confederacy. Historical documents, archives and artifacts from Kentucky and the Ohio Valley. The home of William Culbertson, who was once the richest man in Indiana. Building served as the capitol of Kentucky from 1830 to 1910. The plantation of the 19th-century Kentucky statesman Henry Clay. Site of the most destructive Civil War battle in the state. America's last true Mississippi river steamboat still in operation. The 19th-century hemp plantation of John and Lucy Speed. Former Shaker village on 3,000 acres. The cathedral mother church of the Roman Catholic Archdiocese of Louisville. 1790 Georgian mansion situation on a 55-acre farm site. House where Thomas Edison rented, now a museum dedicated to his inventions. Site of the first pioneer settlement in Kentucky.